It is easy to view pesticide regulation as a technical matter which only affects farmers. But the way the UK chooses to govern pesticides after Brexit will have profound implications for the health of UK citizens and the natural environment for generations to come. EU pesticide regulations are widely considered to be the strongest in the world in terms of protecting human health and the environment. But they are not perfect. With Brexit looming, there is an opportunity for the UK to reshape its relationship with pesticides. It could choose to mirror or even surpass the standards of EU pesticide rules. On the other hand, it could bow to the pro-pesticide lobby and use Brexit as an opportunity to deregulate. This would allow a greater variety and larger quantity of harmful pesticides to be used, thereby putting the environment and the public’s health at risk. 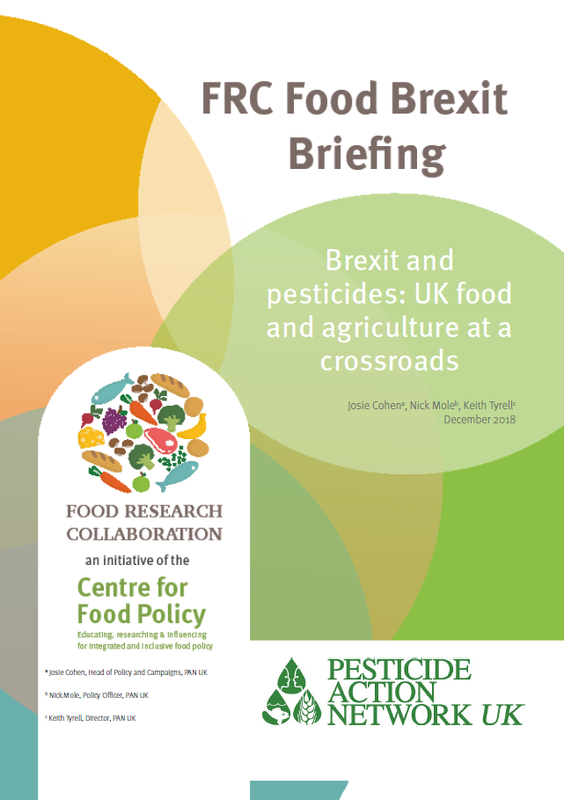 This detailed Food Brexit Briefing explores the paths the UK could follow at this critical juncture. It examines whether it is equipped to take on the functions hitherto performed by the EU, and looks at how future trade deals – with countries with weaker pesticide standards ­– could undermine attempts to maintain domestic standards after Brexit. Design and implement new systems, or strengthen existing systems, to carry out all functions pertaining to regulating pesticides previously performed by EU institutions. Ensure that no weakening of UK pesticide regulations occurs as a result of trade negotiations. Maintain the EU’s hazard-based approach (rather than revert to a risk-based approach) to pesticide regulation. Introduce a clear, quantitative target for reducing the overall use of pesticides in agriculture. Create a new government body to support Integrated Pest Management (IPM) techniques. Introduce a pesticide tax to drive reductions in pesticide use and fund research, development and innovation.